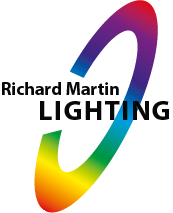 ChromaZone units provide power and DMX/PMX control for up to 6 or 12 standard ChromaRange fixtures along with powerful internal effects, stand alone modes and universal mains power compatibility. 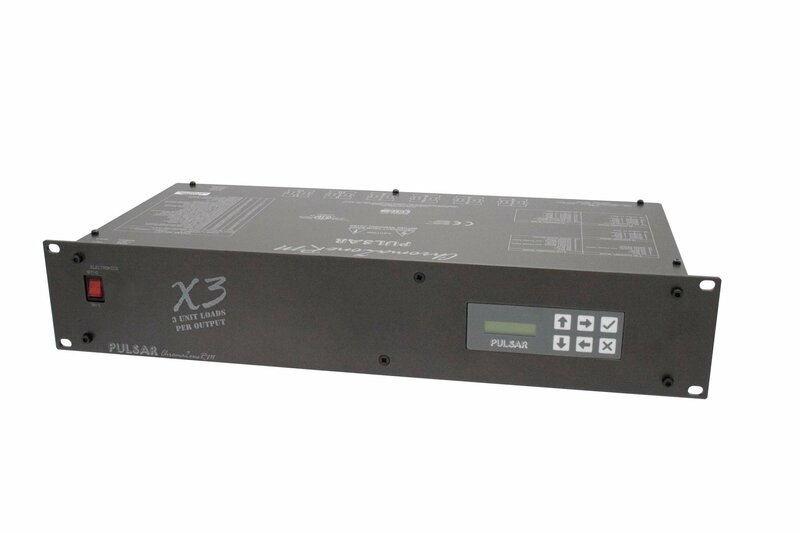 The P3-100 System Controller is a robust video signal processing unit that allows video to join with lighting and scenic technologies for true visual integration. 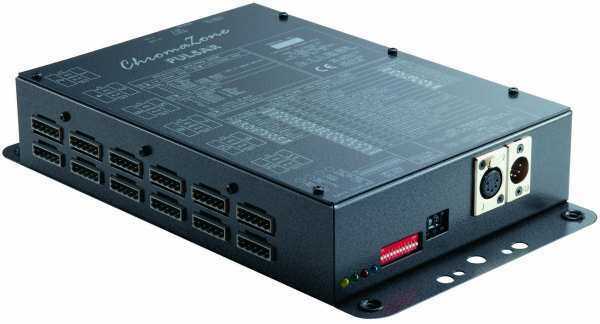 Based on embedded Linux and solid state storage, just one P3-100 Controller can handle up to 500.000 pixels scaled to any size. ChromaZone units provide regulated, safe low voltage power and control signals to drive the low-voltage and sub-100W LED fixtures of the Pulsar ChromaRange.